Finding the right vet for your pet is very important: they need to be trustworthy and have the correct credentials. It also doesn’t hurt to find a veterinarian who is personable and friendly. While the search for a new vet may seem daunting, we have some tips that can help you find a fantastic vet for your pet! This isn’t something you want to put off until the need is more dire, especially if you recently adopted your pet. Be proactive and you’ll find a trusted caretaker in no time! If you’re looking for a good place to start, why not ask the people you know best? Chances are that you have family or friends with pets of their own. Ask them if there are any local vets that they recommend. If you’re not getting anywhere with the people in your life, reach out to animal shelters or adoption facilities in your area. They often work with local veterinarians and should have some good recommendations for you. If you don’t have any friends with pets, you can seek out reviews and recommendations online. Consulting an office’s website and social profiles can be extremely helpful if you’re narrowing down your search. Just keep in mind that people are more likely to leave a review following a very good or very bad experience. Keep an open mind when looking at online reviews– they are subjective. However, the general tone of these online reviews can help you find a great local veterinarian. If you’ve found an office or doctor that you like, be sure to go see them in person. That way you’ll be able to evaluate their facility and the attitude of the staff. Be sure to speak to the receptionist about a potential tour: most offices will gladly give you an introduction free of charge. Be sure to keep an eye out for the general cleanliness and modernity of the hospital. 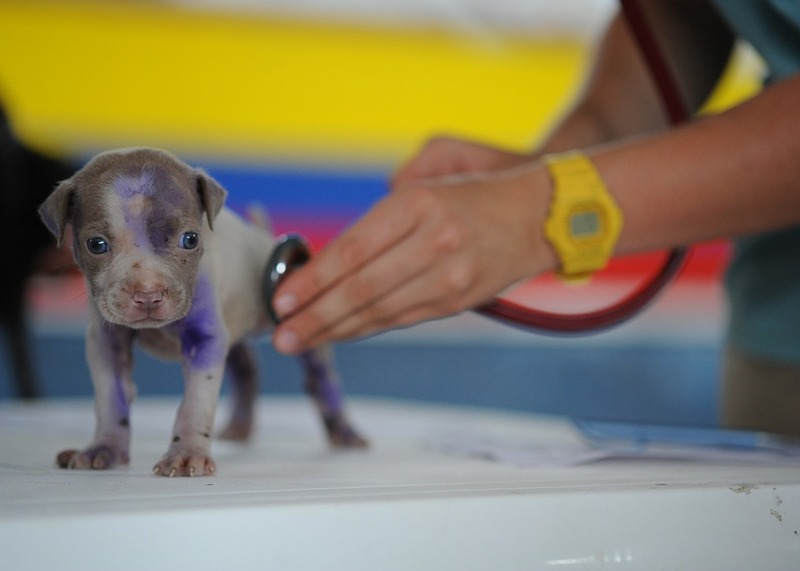 Veterinary facilities with up-to-date equipment are invested in offering the best care possible. Make special note of the hours of operation as well as the boarding situation for animals in their care. Is the veterinarian’s office close to your home? What services does this vet offer? What services aren’t offered? What fees does this vet charge? Do they accept pet insurance? Are there veterinary technicians on site that can assist customers? What is the protocol with overnight stays? Another important part of finding the right veterinarian is ensuring that they have the appropriate accreditation, just as you would want to do when evaluating a new doctor. Double check that a potential vet is licensed and free of official complaint. You can find this information on Florida’s veterinary medical board website. You can also investigate additional certifications beyond the required state minimum. If holistic or alternative methods of medicine are important to you specifically, you might want to inquire about those experiences as well. Finally, be sure that a new hospital you’re interested has received American Animal Hospital Association accreditation. AAHA facilities are evaluated for nearly 900 of the loftiest standards in the business, and what else would you expect for your furry friend? Visit their website for more information on practices that they accredit in your area.